About the author: This article first appeared in the ABS Journal and is reproduced with the kind permission of Steve Pilacik. So here I am holding a bare rotted tree just removed from the ground in 95-degree weather in July. The thoughts running in my mind were not positive. . I have repotted all species of trees in the summer with excellent success. I have even bare rooted a Japanese maple from my fields in the summer without a problem. However, this was an evergreen! If you review the literature the reason a tree (especially) an evergreen does not survive summer moving is loss of WATER. There are few roots to provide water to the top of the tree (leaves needles) so the top dries and the tree expires. Logically I approach the problem with  How do I keep the tree from drying to prevent death until the roots are growing. The first thing that I do is spray the needles with Wilt Pruf. (fig 15 ) Wilt Pruf is a product that prevents the transpiration of water from the needles of the tree. The theory being if we can hold water in the treetop until roots are growing we can help the tree survive. The next step was to figure out the type of container and soil, I would plant the tree. The container was easy a 6-inch azalea pan would be used. (fig 16) The area the roots would grow into would be ideal and transplanting into a bonsai pot when ready would be less stressful on the tree. Azalea pans are shallow and so are bonsai containers. I like to use a very coarse bonsai soil for medium to large pines. This soil consists of much rock and stone with a little baked clay and pine bark mulch ( fig 17 ). The tree would also be tied into the azalea pan with aluminum wire. ( fig 18,19 ) After the tree was tied into the container the pot was submerged into a solution of water and super thrive. Super thrive to help stimulate root growth ( fig 20, 21 ). After watering I sprayed the foliage with a 20 % solution of fertilizer. This was done to feed the plant until roots had grown and food could go up to the plant via the roots. I had been up-potting my younger JBP during the last few weeks and noticed fall root growth beginning. White tips were everywhere on these young trees. I thought!!!! (Normally this is dangerous!!!!!!) Spring is a time of prolific root growth. How could I artificially produce spring for this pine until the roots began to grow? My studio is air-conditioned, no wind is inside the building, and only artificial light is inside. The building is shaded when the lights are out. The tree was put into the building, the air-conditioner ran at 68 degrees during the day. At night the air- conditioner was turned off. This would be my second spring. Again this hopefully would work with this one tree. I thought more about the lack of root growth and dryness of that pine. I figured that this condition would exist with all the pines in that area. So, the shovel came back out. I dug nine more rare and unusual JBP that had been in the ground over three years. The conditions were the same for all trees. Little root growth, when removed from the ground the root ball fell apart. I followed the above technique for all trees. Each day I took the trees from the building and soaked them in a super thrive solution. I spoke with a friend of mine and he told me about a product that Musser Forests Root Dip. This product was going to stimulate roots by using Endoand Ectomycorrhizal fungus inoculants. In other words this would supply microrrhiza to the plant artificially. It also contained soil conditioning agents and biostimulants to stimulate root growth. The instructions called for making a paste applying to the roots then watering to a drench. Well, I was not about to take these trees out of the container to apply the  Root Dip. Instead I mixed the Dip according to instructions and moved surface soil until I exposed the roots. I applied the Root Dip to at least two spots on the root system. (fig14) The roots were recovered with soil. This product arrived to me five days after the digging and planting. I watched the trees very carefully for seven days. The color was excellent and even the green branches of this years growth did not flag at all. Flagging is wilting. I took one tree out of the building. This tree went into an area that receives morning sun and afternoon shade. The tree was watered daily with a super thrive solution. The third day I was convinced that all trees needed to come out of the building. The trees stayed in the morning sun/ afternoon shade for between two to three weeks. 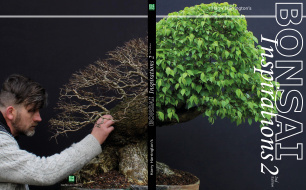 ( fig 22 ) The trees then went back on the bench in full sun. Only one tree showed signs of any distress a small number of needles turned about 20 % brown from lack of moisture. Next summer when I dig and bare root again I will add the Root Dip before planting. I also will experiment with no air-conditioned building with a few trees. This technique excites me; we have another tool to use. Consider a tree in distress that we can move in the summer! The seasons have been expanded as to when we can work our trees. But most of all after SERIOUSLY STUDYING JAPANESE BLACK PINE for over 25 years I learned something new about a subject I had written a book about. You too, can experiment and learn. If you feel that you want to do something try it! I suggest not using an expensive tree but one that will not be missed if the plan does not work. I also dug a few trees with great root balls and a much better root system. ( fig 12,13 ) These trees did just as well as the trees with roots that were not the best. The more you do the more YOU learn. The thought process continues!!!!!!!!!!! Ideally when you repot in the summer you will experience a very long period of root growth before winter begins. This may not concern people who live in climates that have a moderate winter. If you live in upstate New York or some parts of Canada, the long period of root growth before winter assures that the newly dug tree will survive a very cold winter. Taking this a step further if you repot your tree in the summer the same holds true: a long period of root growth before a sever winter stabilizes the tree before winter.